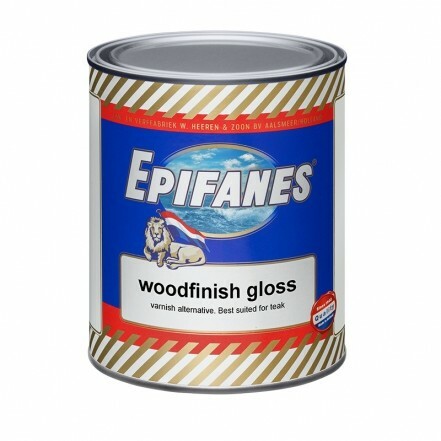 Epifanes Woodfinish Gloss is a classic varnish-like oil based gloss finish with microscopic porosity properties. Especially suited on oily, resinous tropical types of wood and American pine as an alternative for the continuous maintenance of impregnating wood oil systems. Excellent adhesion to well degreased and sanded teak, iroco and other (oily and resinous) types of wood. If a maximum of 5 coats are applied, this oil varnish still allows the wood to breathe. Further build-up will close the wood.